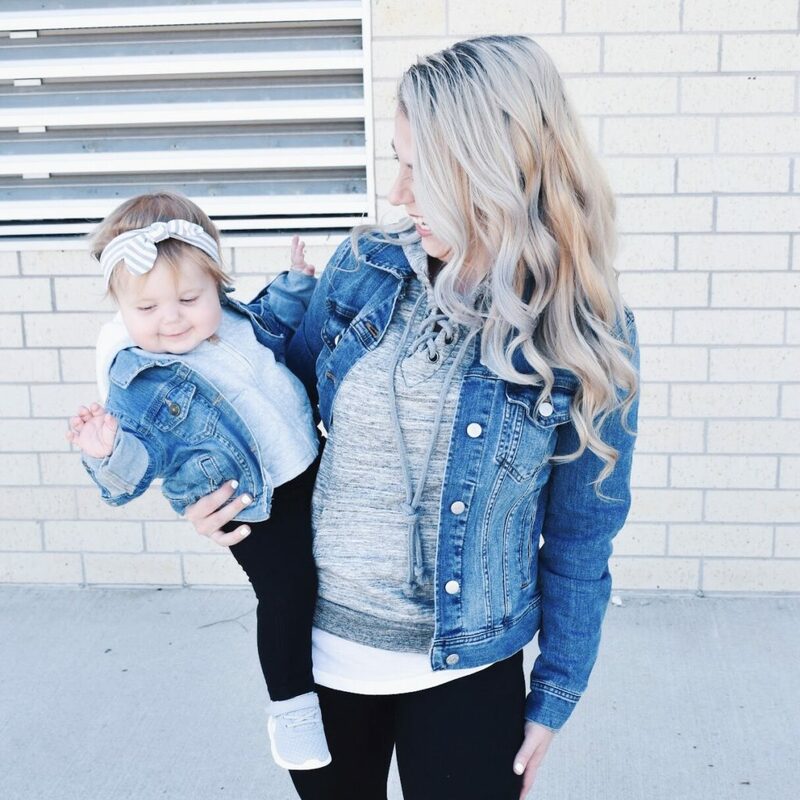 This is one of my favorite Mommy and Me matching outfits to date! 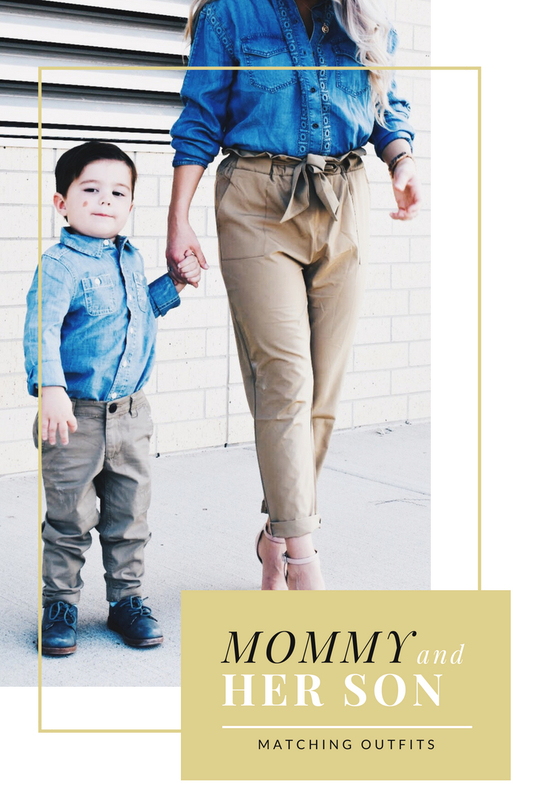 Although I’m twinning with Blair here, this look could also work for a mom and baby boy matching outfit. 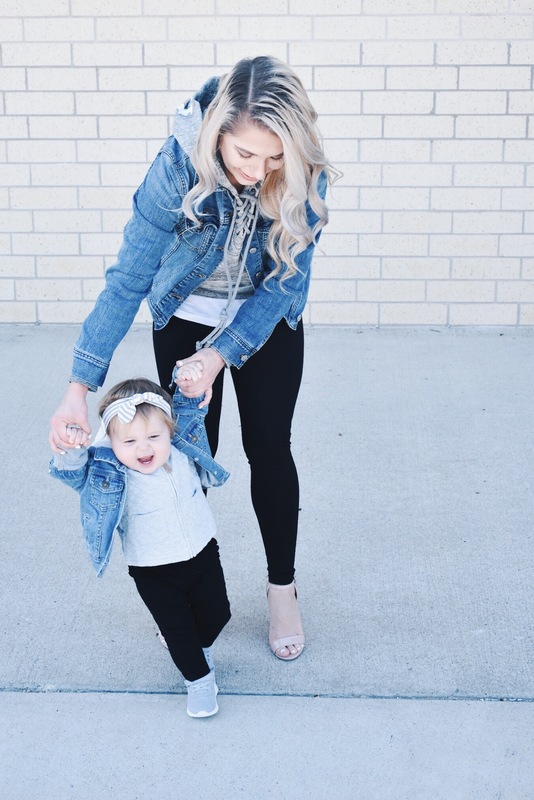 One of the best parts of this Mom and Baby Girl matching outfit is that you probably already have most of these items in your closet. Although I did not, as my size has changed so much since having 2 kids and I’m still rebuilding a lot of basics in my wardrobe. I’ve lost 115 pounds since my highest weight, so my closet is kind of all over the place. But, what fun is being a fashion blogger if you’re not shopping, anyway? I actually didn’t own a jean jacket [so weird, right? ], so I took a chance on this one with literally no reviews on Amazon. It’s the J. Crew Mercantile Women’s Denim Jacket and I absolutely love it! It runs true-to-size and comes in this blue denim as well as black, and I love the feel and fit so much that I’m thinking of ordering the black, too. I was originally debating between the J. Crew Mercantile jacket and this Levi’s jean jacket, so I ordered both and figured I could always send one back [the joys of Amazon Prime! 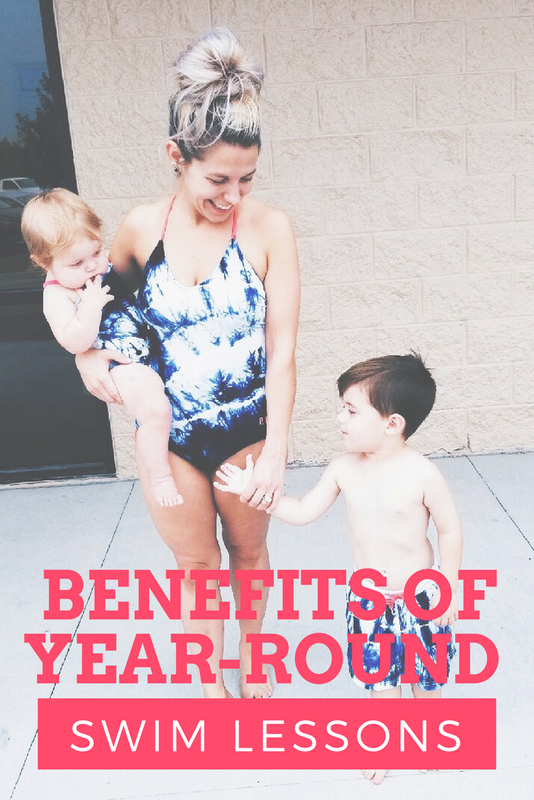 Click here for a free 30-day trial if you aren’t already a member!]. I preferred the fit of the J. Crew one, as the arms were too tight to be comfortable on the Levi’s version [even after going up a size]. Blair is almost 14 months old now and on the move ALL. THE. TIME. I’m forever chasing after her, but I don’t mind. 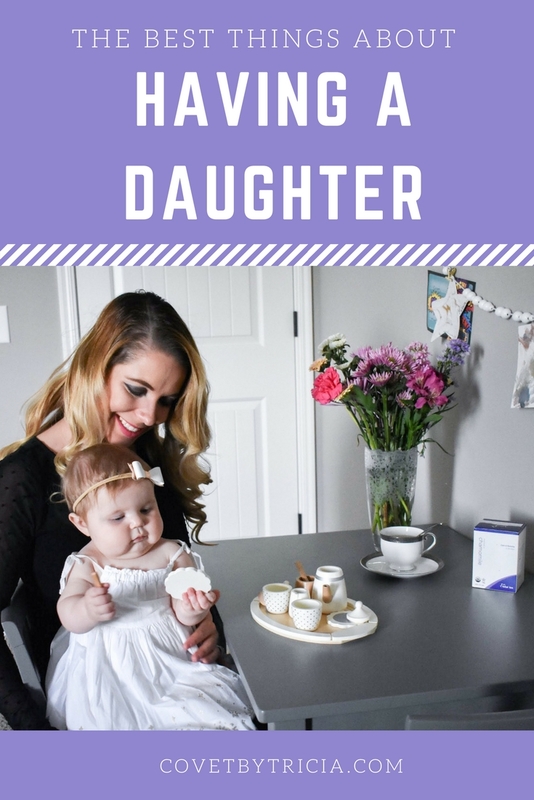 It’s sweet to see her being more independent. 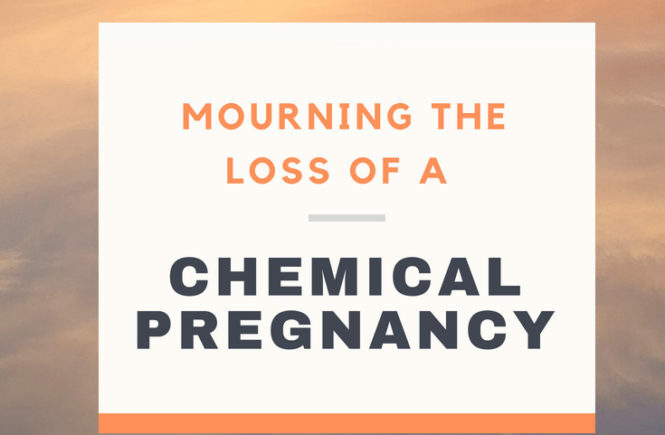 Plus, I got really bad carpal tunnel in my right hand while I was pregnant with her, and it never really got better. Carrying her around all the time really messes with my “bum hand” as I so affectionately refer to it… so I don’t mind if she doesn’t need to be held quite as often. Our hoodies both have some fun details. I love the lace-up on mine. Blair’s hoodie is quilted, plus her hood is sherpa-lined and has little ears on it! Pairing athletic pants like leggings with high heels adds an unexpected twist to the outfit. These high heeled sandals are the perfect finishing touch… for me, anyway. Blair’s a little young for heels. That smile gets me every time. She’s still holding strong at 8 teeth for now–4 on top, 4 on bottom. She hasn’t gotten any new teeth for a long time! 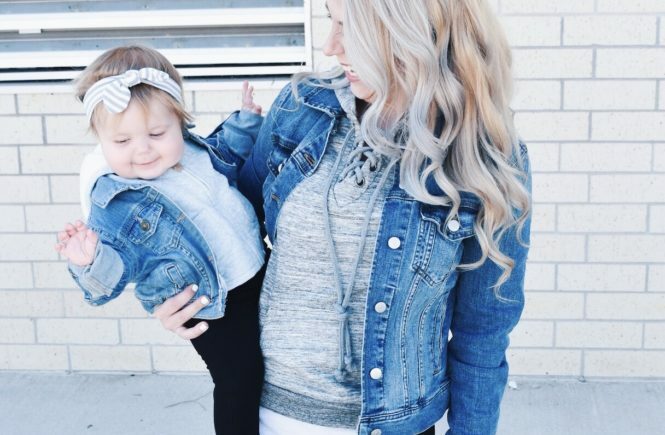 Mommy and Me matching outfits are so fun! 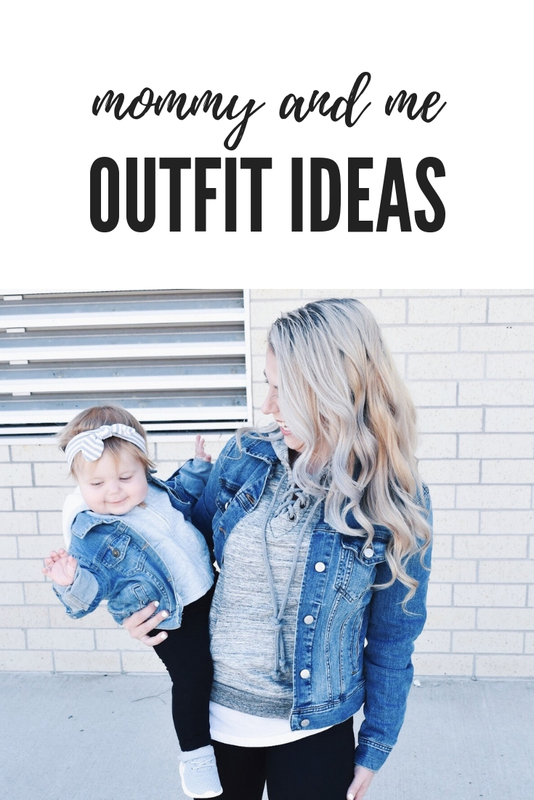 They’re definitely my favorite thing to post for you guys, so it makes me so happy that my last Mommy and Me outfit ideas post was so well received. 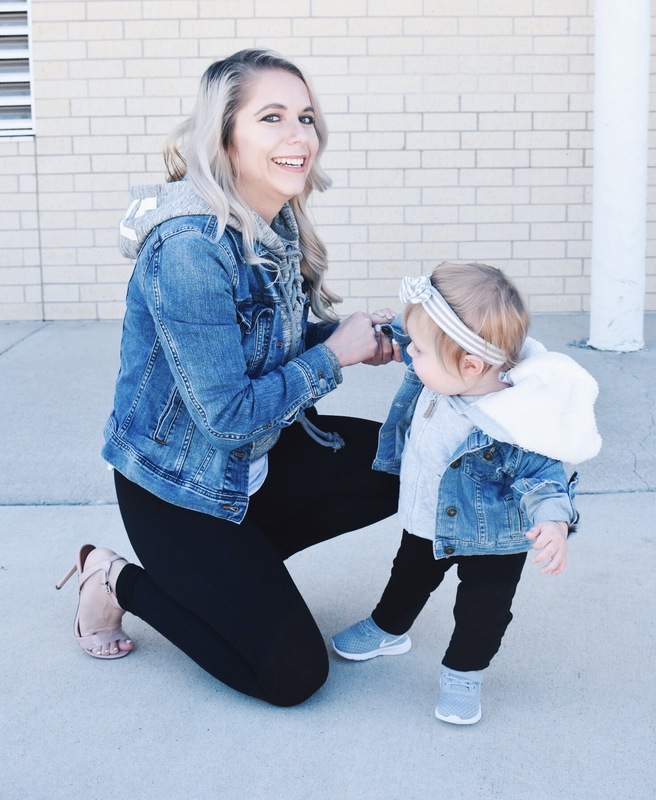 I hope you enjoyed these Mommy and Me outfit ideas! 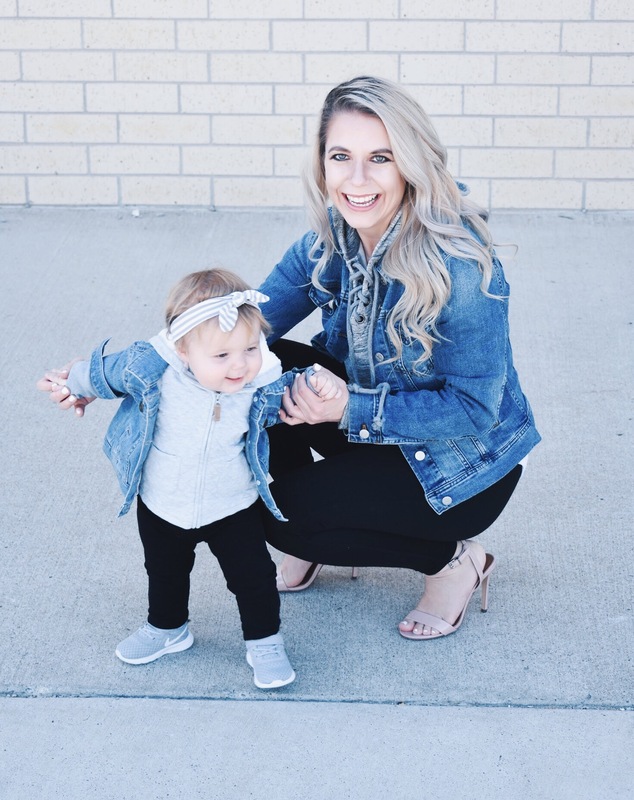 If you have any particular styles or stores you’d like me to feature for my next Mommy and Me look, let me know in the comments! 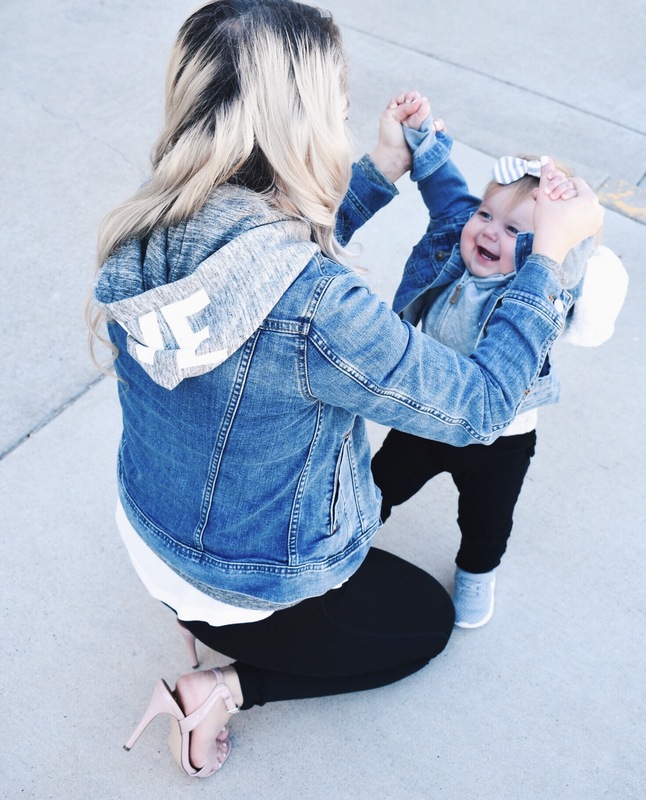 Pin these Mommy and Me Matching Outfits for later! Surprise! 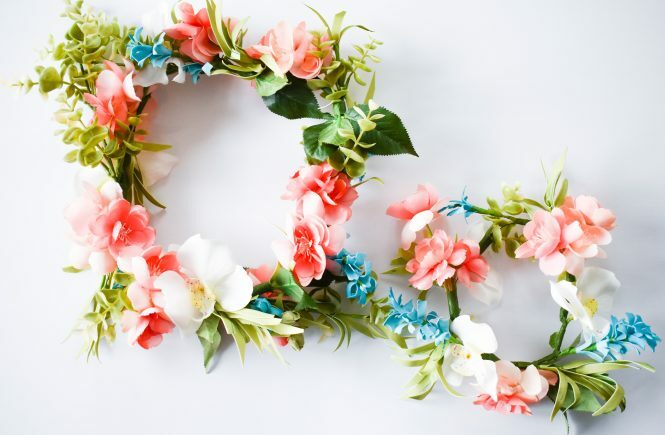 You could win a $1000 Nordstrom gift card! Thank you so much for the kind words! Glad you enjoyed the post! This is undoubtedly one of the most precious posts ever! You two look so beautiful!!! 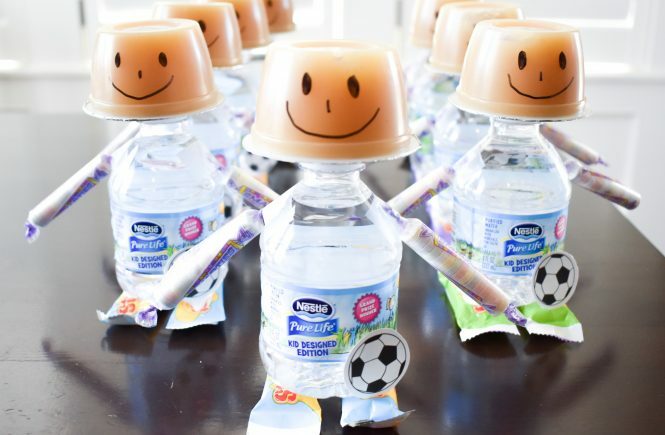 That’s so sweet! Thank you so much, Erin! Thanks, London! Glad you enjoyed the post!